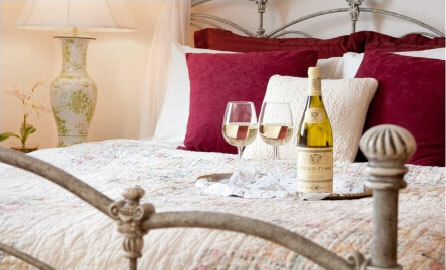 Savor the peace and tranquility of our Mystic bed and breakfast in any one of our spacious guest rooms or suites complete with feather beds and luxurious linens. Depending on the accommodations you choose, you can soak in a 2 person Jacuzzi tub, relax on a private balcony, or read your favorite book by a wood-burning fireplace. 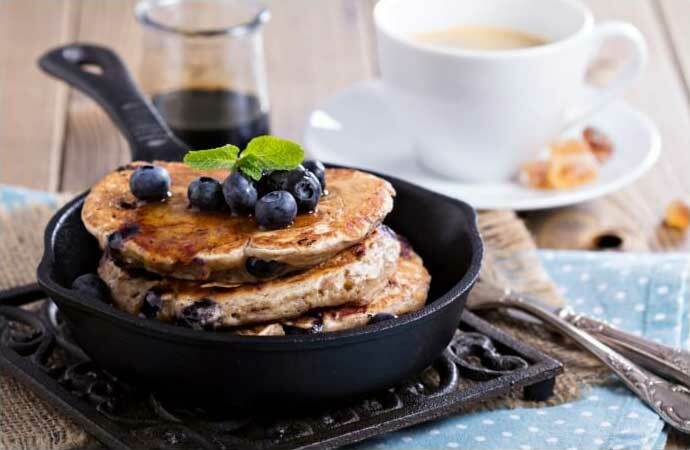 Our Mystic Inn is a quiet and relaxing alternative to hotels in Mystic, CT.
At our bed and breakfast in Ledyard, CT, we start your day with our complimentary three-course breakfast served to you at individual tables in our spacious dining room. In the warm weather months, enjoy breakfast on the patio overlooking the back gardens, waterfall, and koi pond. Imagine your wedding ceremony in the heart of the Connecticut countryside, amidst lush grounds, flower gardens, charming koi ponds and historic stone walls, or, before the handsome dining room fireplace. For weddings, elopements, or vow renewals, Stonecroft Country Inn is a wonderful place to celebrate your special day at any time of year. 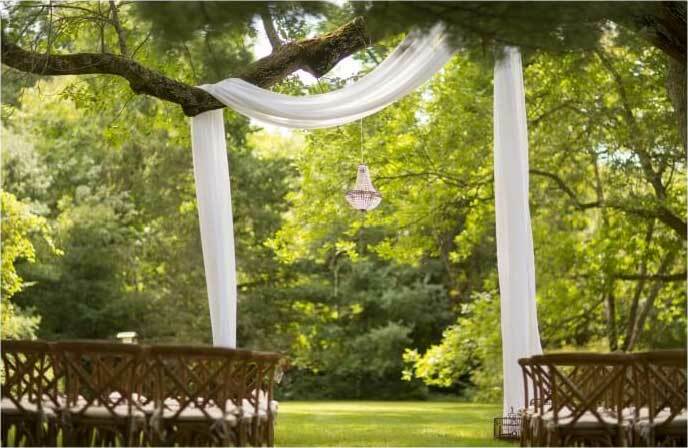 This premium Mystic, CT wedding venue is not only beautiful but also affordable. Take your wedding to the next level with Stonecroft Country Inn. Stonecroft Country Inn is a great place to host special occasion parties including baby showers, anniversary parties, bridal showers, milestone birthday gatherings, rehearsal dinners, and other special celebrations. Learn more about hosting your celebration at Stonecroft. The 1807 House is a historic guest house offering peace and quiet in a unique romantic setting for any couple looking for an authentic rustic retreat. Three of the rooms feature wood-burning fireplaces to sip wine or coffee by at night. 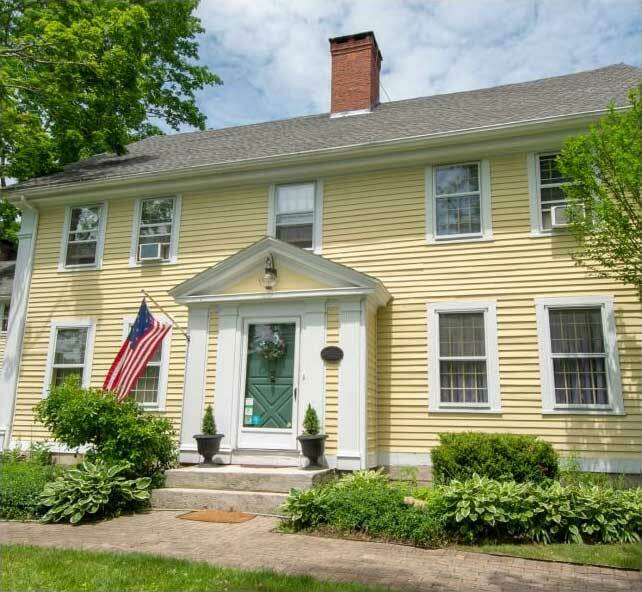 You’ll love the historic feel of the original structures, wood-plank floors, and unique décor in each room. The Yellow Barn is a converted post and beam barn that offers modern and relaxing amenities such as Jacuzzis, gas fireplaces, Wi-Fi, air conditioning, and a deck overlooking the beautiful gardens and pond. 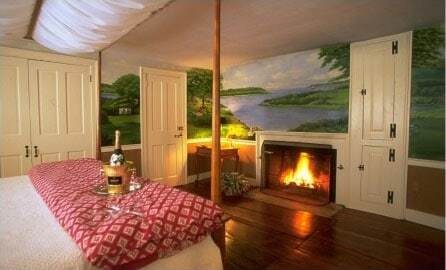 Our Yellow Barn suites are perfect for couples looking for a luxuriously romantic stay or honeymoon in Connecticut.